Rotafix ® Tanking Mix is a cementitious waterproofing compound consisting of a powdered blend of special cements, fibres and admixtures. When the powdered blend is mixed with the required amount of clean water a trowellable mortar is produced. When applied to brick, masonry or concrete as a render it provides an effective impermeable barrier to the passage of moisture, water and dissolved substances. 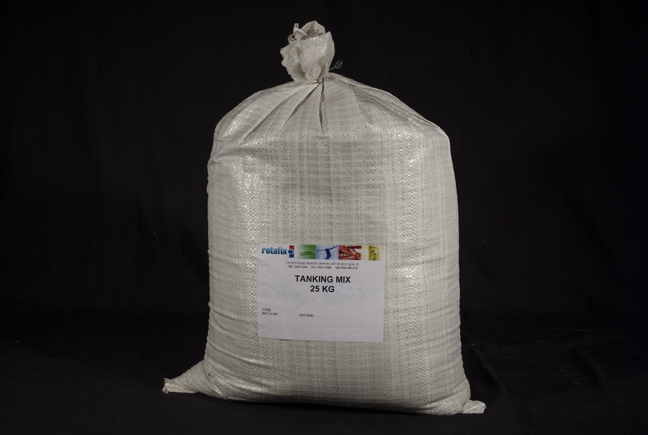 The tanking mix is packaged in 25kg moisture proof, durable bags and has a shelf life of 2 years. PROPERTIES:Pre-mixed powder, ready and easy to use. Can be applied internally or externally on all types of construction on both the exterior and the pressure face. Coating brick, block, masonry, stone, existing render, and concrete to form a waterproof layer. Waterproofing brick and concrete foundations, underground structures, retaining walls, linings, cellars,and tunnels. Consolidating and sealing cracks and voids in weak and porous brick and concrete. Repairing and sealing water retaining structures, reservoirs, culverts, tanks, pools, pipes and sewers.